White-tailed deer inhabit virtually every conceivable American landscape east of the Rockies, including major cities. Deer are active throughout the year. Most adults roam an area of less than one square mile. Deer eat the leaves, stems, and buds of woody plants throughout the year. Fruits and nuts (especially acorns), garden vegetables, flowers, and agricultural crops are important seasonally. Fawns are born in late May or June. For the first month, fawns lie still and hide much of the time, and may appear to have been abandoned. The mother forages relatively nearby and periodically returns throughout the day to nurse. Within a month, the fawns are strong and agile enough to travel and forage with their mothers. Deer are very tolerant of people and will bed and give birth in wooded edges, grassy areas, and fields close to homes. 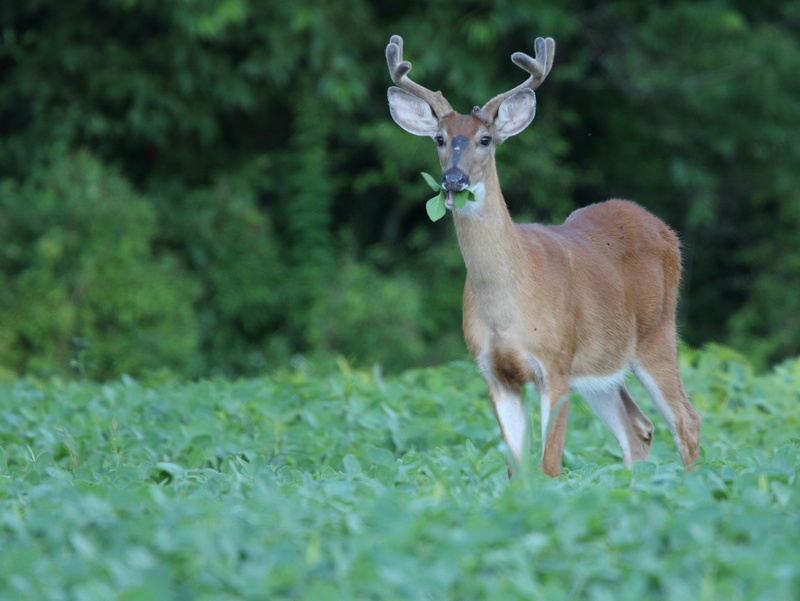 Deer movements and feeding activities are the chief factors in nuisance and damage situations. Deer can cause significant damage to ornamental trees, shrubs, flowers, vegetables, and native plants. Deer-vehicle collisions are a threat to human safety and property, especially during the fall mating season. Deer also have been implicated in the spread of ticks carrying Lyme disease. Social or cultural carrying capacity is the deer population level at which people can tolerate or accept the problems associated with a deer herd. When managing deer in human-populated areas, wildlife managers consider the "carrying capacity" of an area in three contexts: biological, ecological, and social/cultural. 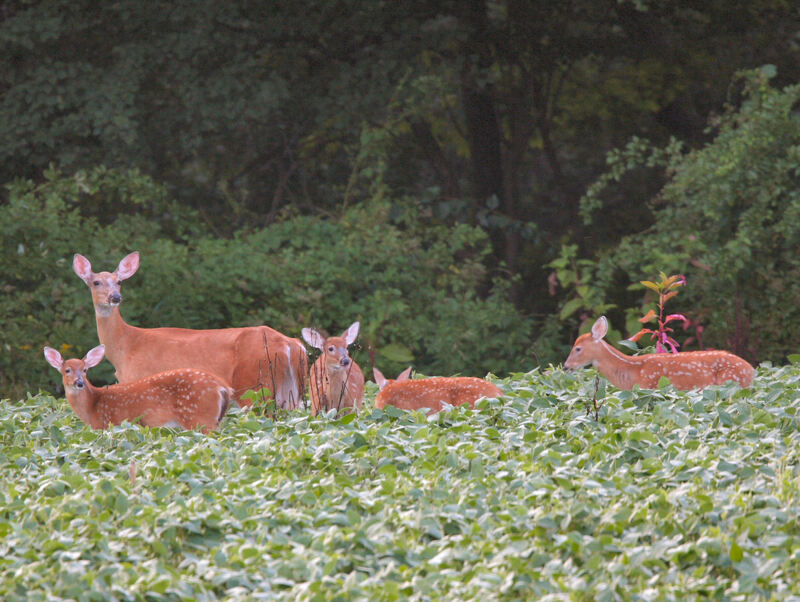 Biological carrying capacity is the maximum number of deer that a habitat can support on a continuous, long-term basis. The biological carrying capacity in areas with the availability of artificial food sources (e.g. birdseed, fertilized lawns) may be much higher than in a wild environment. Ecological carrying capacity is the level at which deer do not negatively influence native plants and animals. Ecological carrying capacity for white-tailed deer is normally in the range of 3 to 10 deer per square kilometer. Beyond these densities, deer browsing impacts the regeneration of certain plants that in turn impacts other wildlife species. 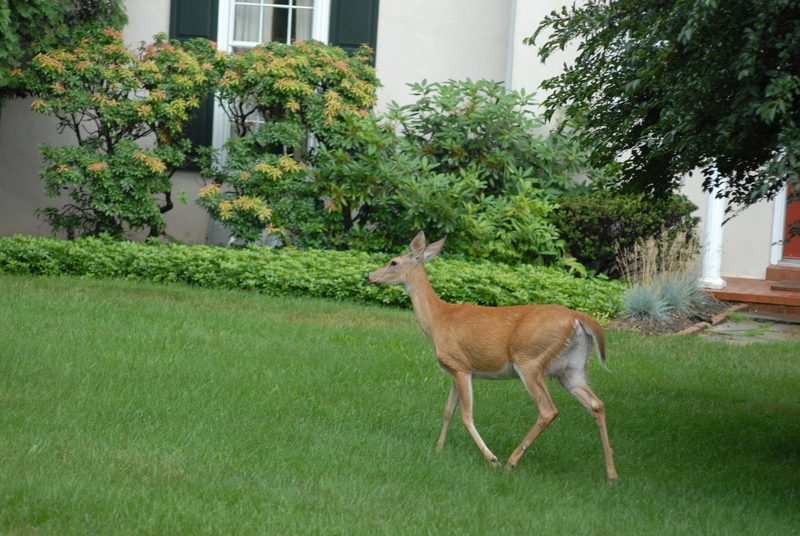 Deer numbers at this level can still present challenges like deer-vehicle collisions or damage to yards and gardens. Social or cultural carrying capacity is the deer population level at which people can tolerate or accept the problems associated with a deer herd. In most cases when managing deer in populated areas, local residents will determine the social carrying capacity for the deer herd. Peoples' tolerances for deer can vary widely, so it is important for communities to work together in managing and controlling deer population.